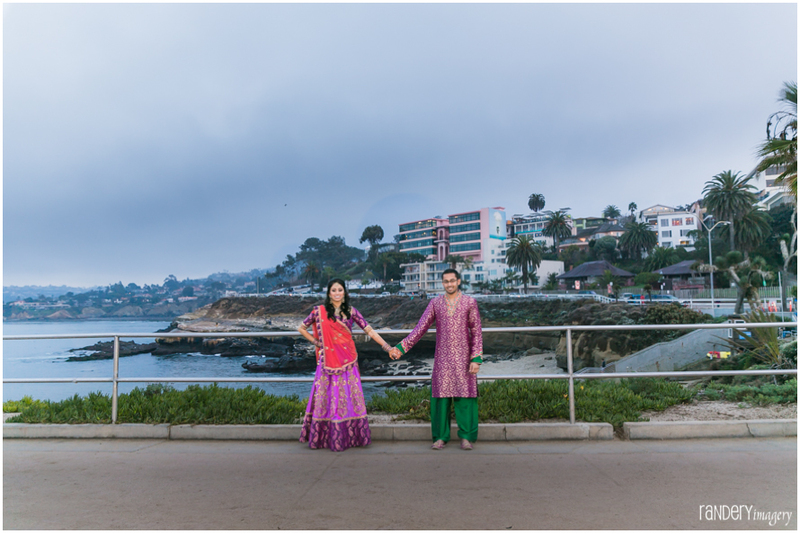 Learn more about the San Diego Marriott La Jolla on ShaadiShop. We got most of our clothes from Aso Palav in Ahmedabad. I was done shopping within 4.5 hours! I wanted to wear a sari for the ceremony because I’m more likely to wear a sari again in the future vs. a lehenga. Krunal designed all of his clothes (he’s very detail-oriented). He designed based on what I wore. We FaceTime’d a ton when I was in India! I already had styles and colors in mind before going to India – so that really helped. 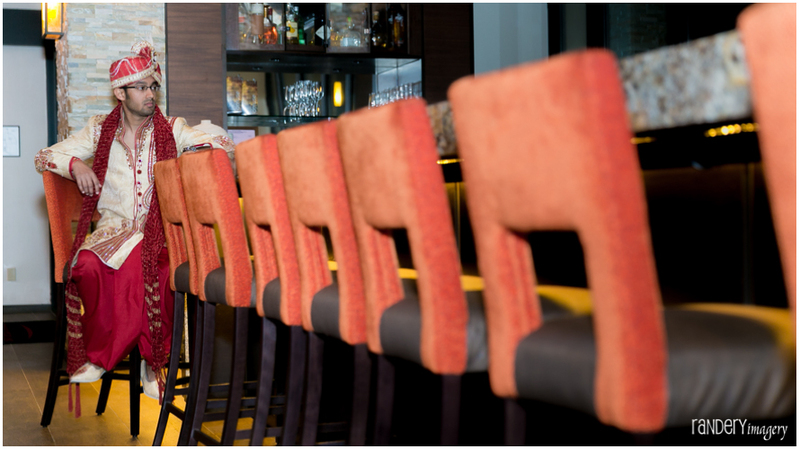 How did you decide on the San Diego Marriott La Jolla? We needed a venue that could handle at least 500 seated for a reception. We wanted a hotel in San Diego that took advantage of the beautiful scenery there. We weren’t flexible with our dates, so they had to be available on the days we wanted. The mehndi and pithi were at my relatives’ homes. 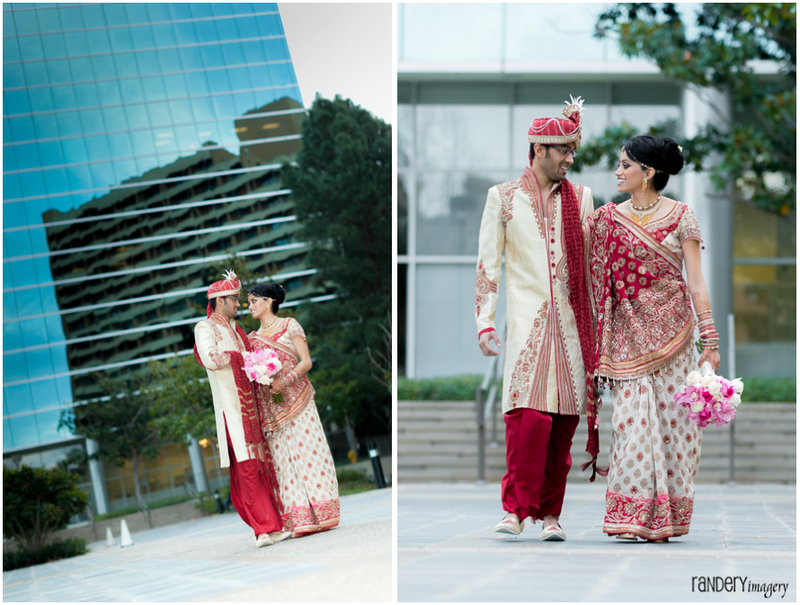 How much experience did the Marriot have with desi weddings? They’d done a handful, but never with so many back-to-back events. 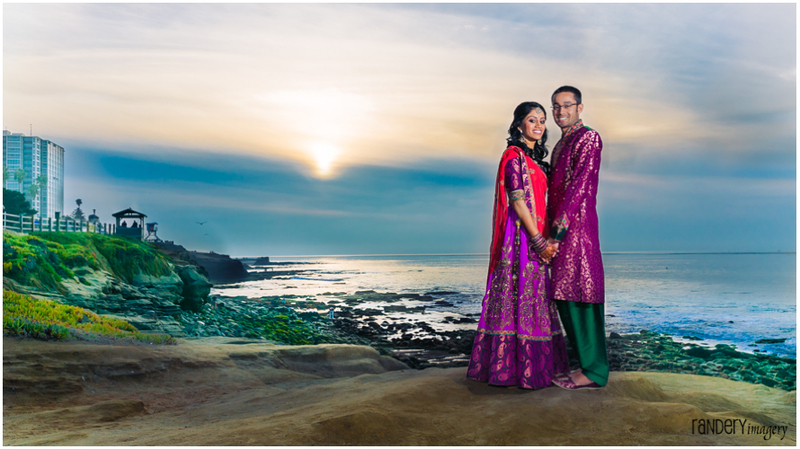 We had our garba + wedding + reception there. 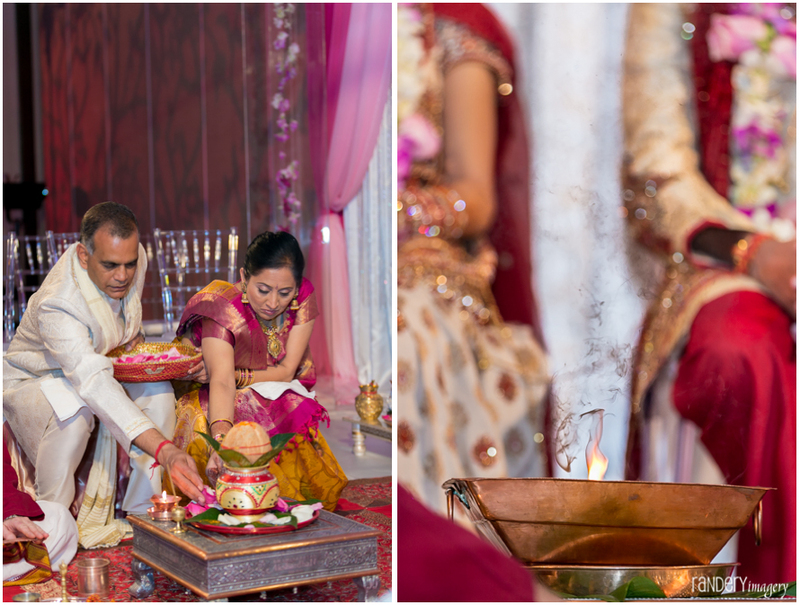 Our wedding planner, Neha Shah, from Blue Lotus Insights, was awesome – she handled all of the logistics with the Marriott from the flame indoors to the additional meals for our guests staying there. Having a flame indoors was fine – our planner worked out all of those details with the hotel. Even though we got married in beautiful San Diego, we did the ceremony indoors as we didn’t want to worry about rain or the cold in January. 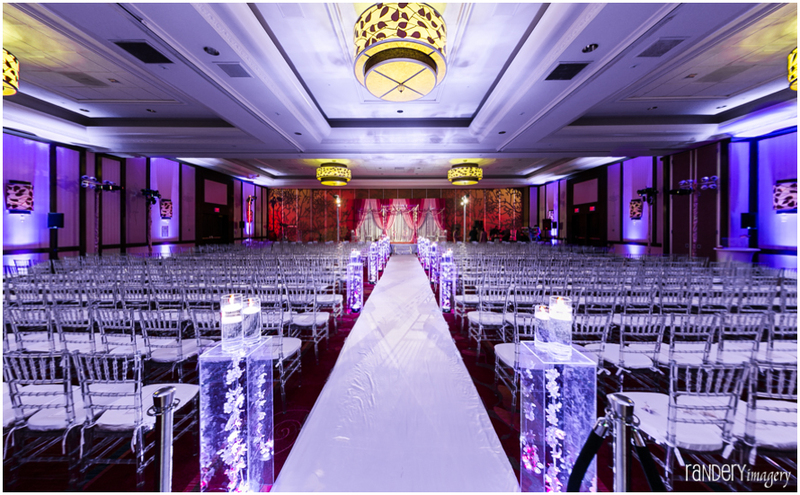 We loved these ghost chiavari chairs! What advice would you give to a couple that’s planning their wedding? Don’t stress about the little little things. Sometimes it’s best to leave things up to the people who do this for a living. A few things might go wrong that day. Be mindful that it’s just one day. As long as you’re marrying who you want to marry and the people you want around you are there – that’s all that matters. If you don’t have a planner – take it one step at a time. Know what you can do yourself vs. what you should let a pro handle. Planning can be overwhelming – if you can, give yourself enough time and be as clear about what you want and don’t want as possible. 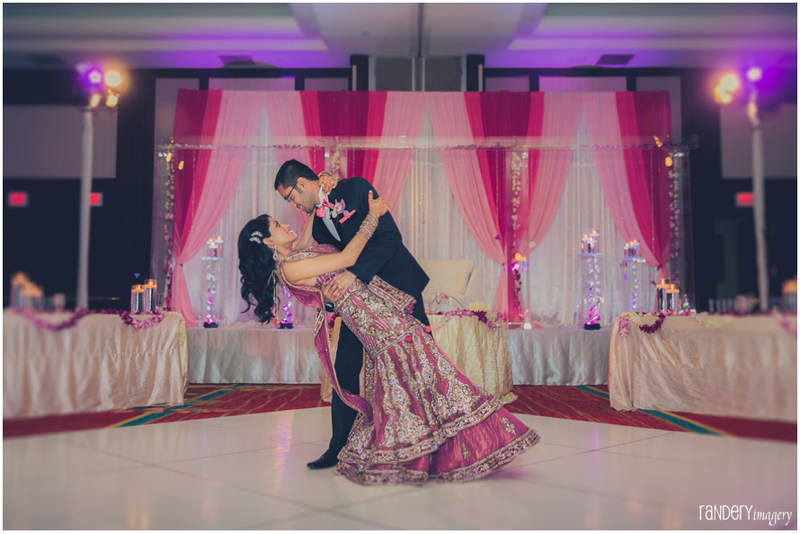 DJ: Special Occasions – Parag dj’d my Sweet 16 and so it was cool to have him at my wedding too. Food: Mantra and Jay Bharat. We were so happy with our food. Throughout the weekend we served a variety of food, pasta, Mexical bhel, had a taco stand, papdi and loth and more. 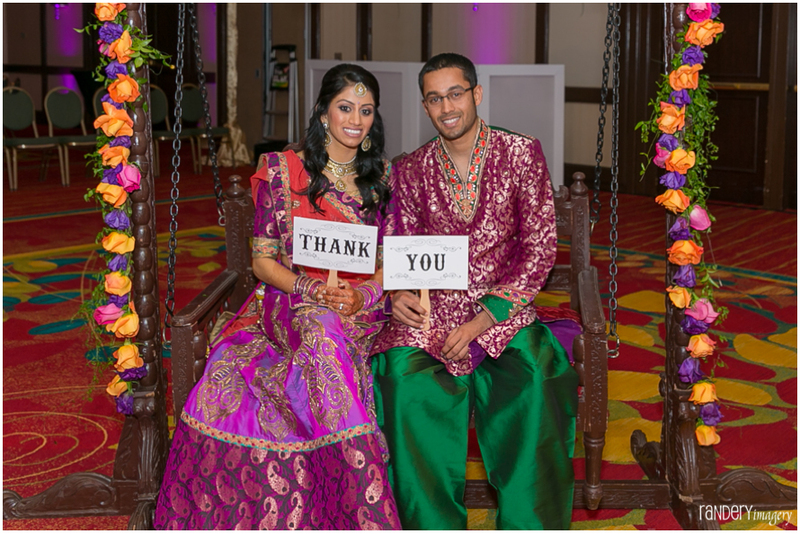 There were a lot of non-Indian people at our wedding and it was great to know everyone from them to my super Gujarati grandmother loved the food. My dad and his mom were neighbors in India. His family ended up in Florida and mine in California. We met when we were kids but he didn’t remember. Years later, my dad and I went to his sister’s engagement party in Chicago. I didn’t know at the time that they arranged for me to sit with Krunal at the party. He was welcoming and introduced me to everyone. After that we sort of stayed in touch through Facebook. A few years later with some nudging from both of our parents, we reconnected and I flew to Miami to see him. We definitely clicked and we were both on the same page about what we sought out of a relationship. Since we dated long distance, for another 6 months we flew back and forth to see each other and then he proposed. He proposed in Sarasota, where he’s from. It was a total surprise. He chartered a yacht and little did I know our families were on the lower deck of the yacht. Krunal said he was taking me to brunch, so you can imagine my surprise when we rolled up to this gorgeous white yacht and he told me that’s where we were having lunch. It was a beautiful day and he had arranged for our song to be played. While our song was playing he got down on one knee and proposed. That’s when I felt a tap on my shoulder and saw our families. It was perfect! 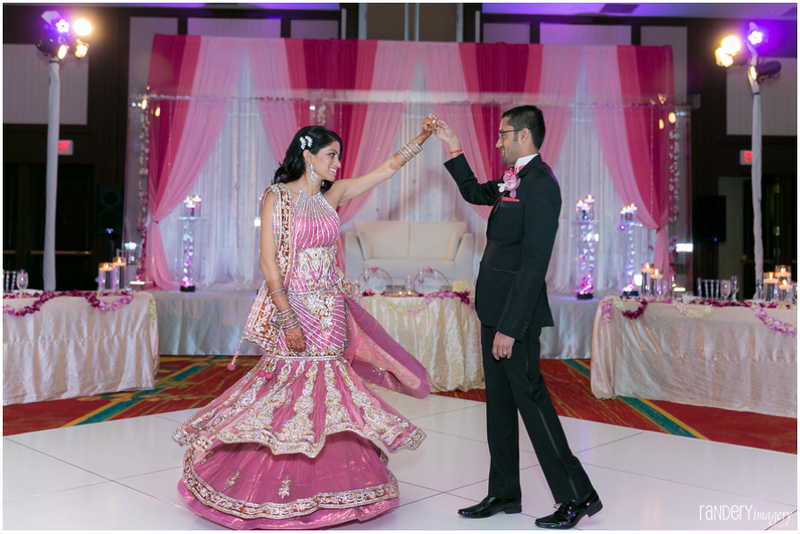 Check out more photos from Chandni and Krunal’s beautiful wedding! The San Diego Marriott La Jolla was big and a great setting for a very colorful garba – especially given they have this colorful carpet already. The courtyard in front of the Marriott is gorgeous. It was perfect for a baraat! Even though it was a busy day we had time to do the ceremonies that we wanted to after the ceremony. It was fun to watch as the baraat arrived! I wanted to wear a sari for the ceremony because I’m more likely to wear a sari again vs. lehenga. We didn’t want to have a lot of Indian sweets at the reception. We served these Caribbean sweets. Krunal designed all of his clothes based on what I wore. We Face Time’d a ton when I was in India! 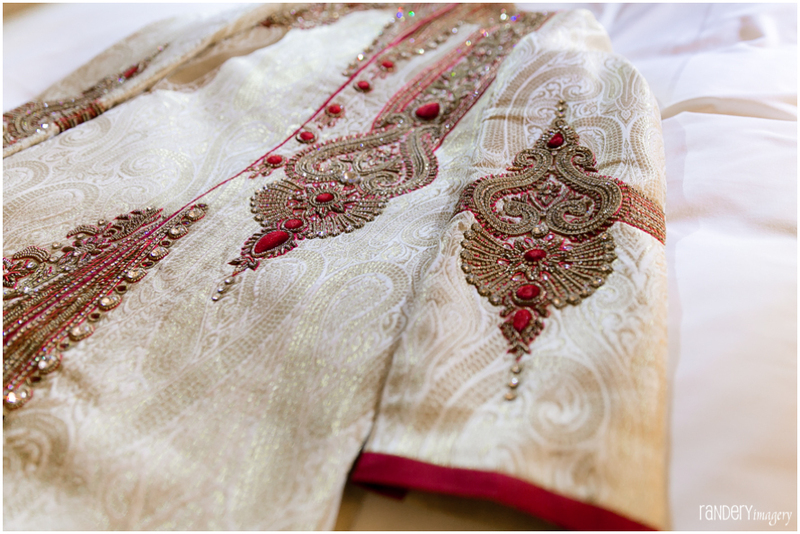 Find more venues and save time getting quotes with ShaadiShop! Find Venues. Get Quotes. Save Time. Balle Balle! to give it a peek. I’m definitely enjoying the data. Thank you so much Kasey! 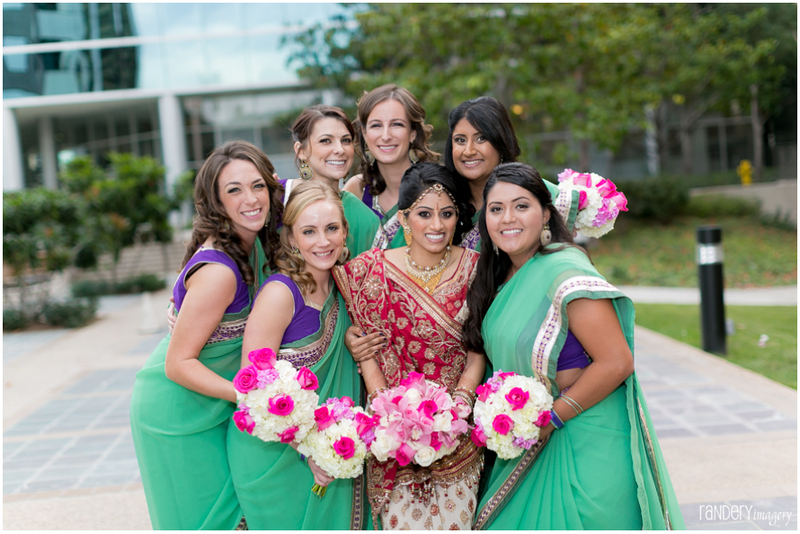 And thanks for sharing ShaadiShop with your friends!